Analysis of Ordinal Categorical Data Alan Agresti Statistical Science Now has its first coordinated manual of methods for analyzing ordered categorical data. This book discusses specialized models that, unlike standard methods underlying nominal categorical data, efficiently use the information on ordering. It begins with an introduction to basic descriptive and inferential methods for categorical data, and then gives thorough coverage of the most current developments, such as loglinear and logit models for ordinal data. Special emphasis is placed on interpretation and application of methods and contains an integrated comparison of the available strategies for analyzing ordinal data. This is a case study work with illuminating examples taken from across the wide spectrum of ordinal categorical applications. 1984 (0 471-89055-3) 287 pp. Regression Diagnostics Identifying Influential Data and Sources of Collinearity David A. Belsley, Edwin Kuh and Roy E. Welsch This book provides the practicing statistician and econometrician with new tools for assessing the quality and reliability of regression estimates. Diagnostic techniques are developed that aid in the systematic location of data points that are either unusual or inordinately influential; measure the presence and intensity of collinear relations among the regression data and help to identify the variables involved in each; and pinpoint the estimated coefficients that are potentially most adversely affected. The primary emphasis of these contributions is on diagnostics, but suggestions for remedial action are given and illustrated. 1980 (0 471-05856-4) 292 pp. Applied Regression Analysis Second Edition Norman Draper and Harry Smith Featuring a significant expansion of material reflecting recent advances, here is a complete and up-to-date introduction to the fundamentals of regression analysis, focusing on understanding the latest concepts and applications of these methods. The authors thoroughly explore the fitting and checking of both linear and nonlinear regression models, using small or large data sets and pocket or high-speed computing equipment. 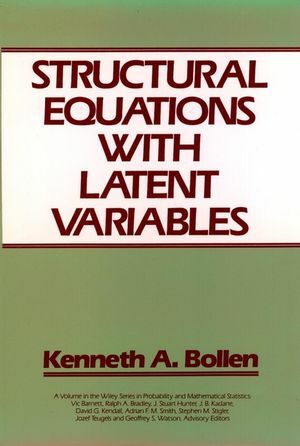 Features added to this Second Edition include the practical implications of linear regression; the Durbin-Watson test for serial correlation; families of transformations; inverse, ridge, latent root and robust regression; and nonlinear growth models. Includes many new exercises and worked examples. 1981 (0 471-02995-5) 709 pp. About the author KENNETH A. BOLLEN is Associate Professor of Sociology at the University of North Carolina at Chapel Hill. Since 1980, he has taught in the summer program in quantitative methods at the Inter-University Consortium for Political and Social Research at the University of Michigan (Ann Arbor). He is a member of the American Sociological Association and the American Statistical Association, and is the author of numerous journal articles in sociology and social statistics. Dr. Bollen earned his PhD in sociology at Brown University. Measurement Models: The Relation Between Latent and ObservedVariables. 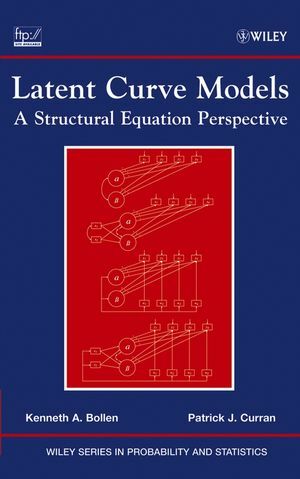 The General Model, Part I: Latent Variable and Measurement ModelsCombined.